The Learning Assistant (LA) program is based on the model developed at the University of Colorado - Boulder. The transformation of science courses involves creating environments in which students can interact with one another, engage in collaborative problem solving, and articulate and defend their ideas. To accomplish this, undergraduate LAs are hired to facilitate small-group or other interaction in the classroom. Improve the quality of STEM education for all undergraduates! Faculty and Learning Assistants wishing to share their research can present a poster at the annual CASTLE symposium in May. To view RIT’s College of Science poster printing guidelines, visit https://www.rit.edu/science/posters. What is the Learning Assistant (LA) Program? The LA Program is designed to give students a genuine teaching experience with student-centered pedagogies. In its third year at RIT, the program was developed by SMERC (the Science and Mathematics Education Research Collaborative). It has been modeled by the very successful LA Program at the University of Colorado - Boulder. Faculty and students separately submit components of a joint application. What are the benefits of the LA Program? Benefits of the LA Program are extensive and far-reaching. LAs gain invaluable classroom and people skills that are often not acquired by passively taking classes. LAs take initiative, develop teaching methods, and network with RIT faculty. Leadership positions holds more weight on a resume than being a Teaching Assistant (TA) does, since LAs have bigger responsibilities than TAs, and can help their peers in the classroom more than TAs. What role do LAs have? The primary role of the LA in a classroom is to mediate discussion-based learning between the students in the course. LAs help the students solve problems themselves and aid without handing out solutions. LAs will meet weekly with their faculty mentor where they help plan course activities. Outside of the course, LAs hold weekly student help-sessions. LA experiences will not be the same across different courses - their roles and responsibilities will be determined between the faculty mentor and themselves, before and during the course. Can there be more than one LA for a particular course? 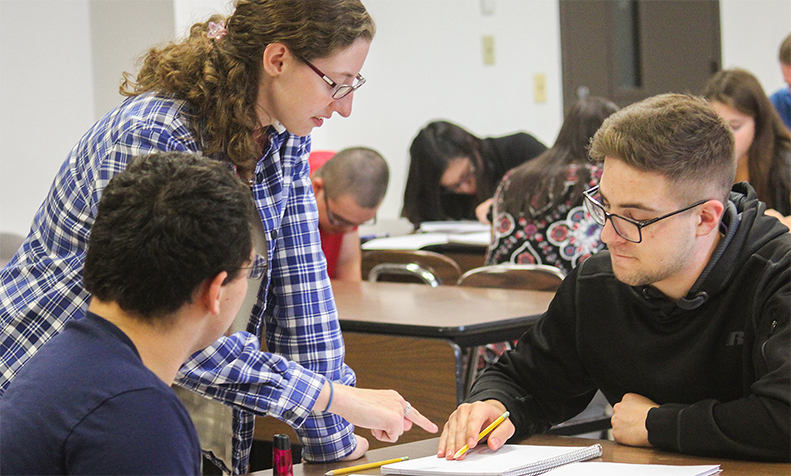 For most courses, two LAs will be hired to work together in developing teaching methods as it gives the LAs a chance to gain teamwork, and leadership skills. The application process for the 2191 Fall semester is now closed. Follow us on Facebook and Twitter for the latest CASTLE’s Learning Assistant Program News & Events!